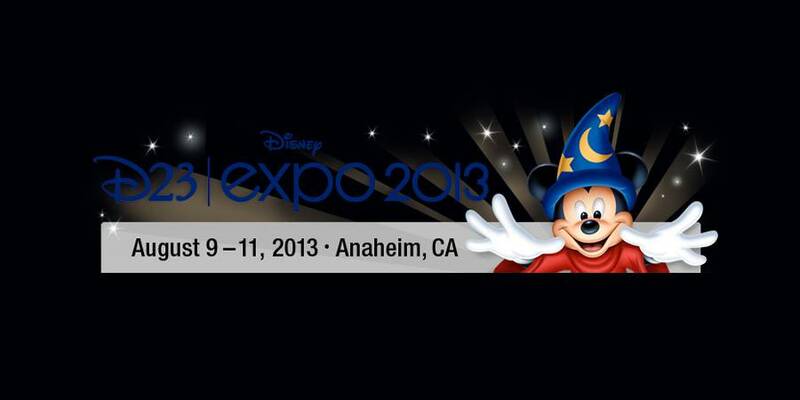 D23 presents “A supercalifragilisticexpialidocious gift idea” and a look ahead at some 2013 D23 events. 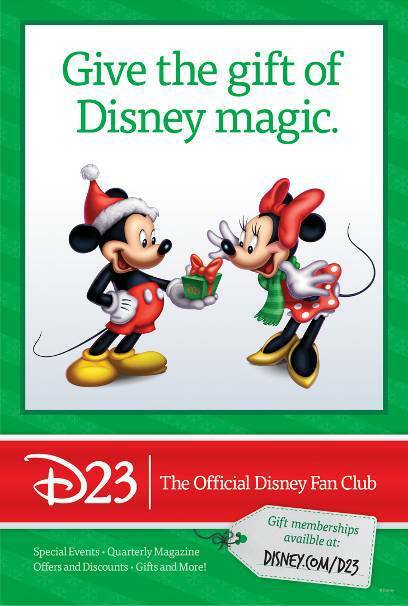 D23 is the world’s only official Disney fan club – and a Gold ($74.99) or Silver ($34.99) membership is a supercalifragilisticexpialidocious gift idea for any Disney Fanatic! Taking its name from 1923, the year Walt Disney founded his world-famous company, D23 brings its members a host of exclusive benefits. Annual Member Gift – Each new and renewing D23 Member receives a special collectible gift from The Walt Disney Archives Collection. 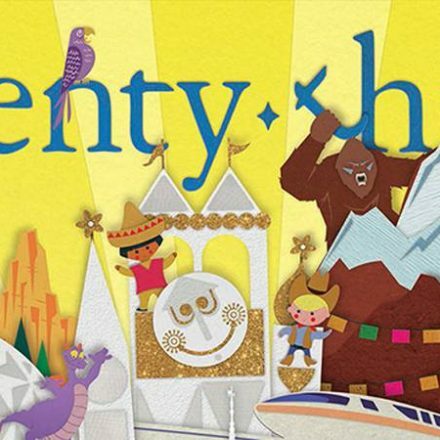 Gold-level D23 Members receive an extra four gifts a year that get sent with their copy of Disney twenty-three Magazine. D23 Website – D23.com features Disney breaking news and behind the scenes exclusives from the Walt Disney Archives among many other perks! Special Member-Only Events – D23 Members can take part in amazing tours of the Walt Disney Studios and Archives, signature events at Walt Disney World and Disneyland Resort, special film screenings and opportunities to see Disney movies before the general public, and many other events throughout the country and throughout the year. These one-of-a-kind experiences are created specifically for members of D23: The Official Disney Fan Club! D23 EXPO 2013 – This August, the third D23 Expo brings the entire world of Disney under one roof to Anaheim, CA… it’s the biggest Disney fan event in the world! D23 Members get special ticket discounts and additional perks at this astonishing event. BURBANK, Calif. – November 28, 2012 – In 2013, D23: The Official Disney Fan Club will reach out to fans across the country through an exciting roster of uniquely magical Disney experiences. Starting in March, D23 takes the party on the road once again with our secondD23’S DISNEY FANNIVERSARY CELEBRATION. The event, which played to crowds of enthusiastic fans across the U.S. earlier this year, will commemorate dozens of magical milestones, each celebrating an anniversary in 2013. Said The Hollywood Reporter of the 2012 event, “It’s a must for Disney fanatics and a fascinating look at Disney history.” Hosted by Disney Archivists and D23 Team Members, D23’s Disney Fanniversary Celebrationevents will be held in Boston, Chicago, Los Angeles, Newark, Orlando,Phoenix, San Diego, San Francisco, Seattle, and Washington, D.C., and will revisit some of the most beloved theme park attractions, animated and live-action films, TV series, and nearly 90 years of Disney history. Fanniversaryevents will be open to the public, with special admission and surprises created especially for D23 Members in attendance. D23 will once again partner with The Walt Disney Studios, offering members access to advance screenings of the latest Disney animated and live-action feature films. In 2012, D23 Members were among the first to see Wreck-It Ralph, Frankenweenie, and Brave. MICKEY’S OF GLENDALE, the Walt Disney Imagineering employee store in Glendale,Calif., will open its doors exclusively to D23 on Saturday, April 13 and Saturday, June 8. Members will have an opportunity to purchase limited-edition merchandise and view the park-like grounds at Walt Disney Parks & Resorts’ creative “think tank.” Additionally, in 2013, D23 will partner with Disney Store in key locations to host exclusive and one-of-a-kind events for our D23 Members. Throughout the year, D23 will continue its popular series of movie screenings at The Walt Disney Studios in Burbank. D23’s 50 AND FABULOUS returns, honoring Disney favorites celebrating their 50th anniversary in 2013, including screenings of Son of Flubber (April 13), Summer Magic (June 8), and The Sword in the Stone (September 15). FROM THE VAULTS also returns, bringing favorite live-action films back to the big screen, including the digitally restored 20,000 Leagues Under the Sea on November 16. The year also includes D23 DAY AT THE WALT DISNEY STUDIOS AND ARCHIVES, our popular member-only tours of the historic Studio Lot and Walt Disney Archives in Burbank. Tours will take place May 4, June 1, September 14, and November 2. In the fall, during Epcot’s International Food and Wine Festival, D23’s SIP & STROLL event will return (September 2013). And during the holiday season, D23 will bring back the popular offering DISNEY AND DICKENS (in Burbankin December), and introduce the all-new festive D23’S HOLIDAY SPLENDORat Walt Disney World Resort in December. 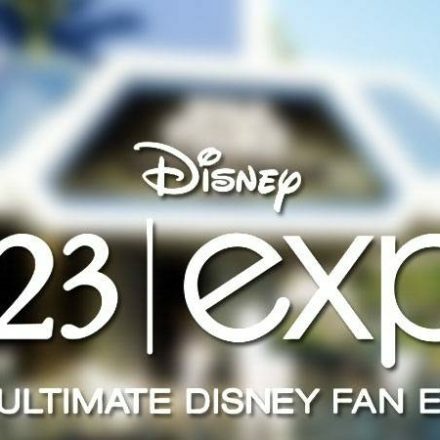 The grandest fan event of them all will take place August 9–11 at the Anaheim Convention Center when the D23 EXPO 2013: THE ULTIMATE DISNEY FAN EVENT brings all the wonderful worlds of Disney together under one enormous roof for three days. From The Walt Disney Studios and Walt Disney Parks & Resorts to Disney Consumer Products and our numerous media networks, guests will revel in new discoveries, special panels and presentations, movie screenings, celebrity appearances and autograph signings, and gain fresh insights into movies, television, theme parks, animation, Disney history, and more. Special “early bird” discounted tickets are available through December 31, 2012, and D23 Members receive an additional discount on tickets as well as special perks at the Expo. Look for dates, ticketing information, and more D23 events to be announced throughout the year. Full details on D23’s lineup of 2013 special events can be found on the Fan Club’s website at www.D23.com. All events and dates are subject to change. March–April: D23’s Disney Fanniversary Celebration, Boston, Chicago, Los Angeles, Newark, Orlando, Phoenix, San Diego, San Francisco, Seattle, and Washington D.C.
April 13: 50 and Fabulous—Son of Flubber, Burbank, Calif.
April 13: Mickey’s of Glendale shopping day, Glendale, Calif.
May 4: D23 Day at the Walt Disney Studios and Archives, Burbank, Calif.
June 1: D23 Day at the Walt Disney Studios and Archives, Burbank, Calif.
June 8: 50 and Fabulous—Summer Magic, Burbank, Calif.
June 8: Mickey’s of Glendale Shopping Day, Glendale, Calif.
August 9–11: D23 Expo 2013, Anaheim, Calif.
September 14: D23 Day at The Walt Disney Studios and Archives, Burbank,Calif. September 15: 50 and Fabulous: The Sword in the Stone, Burbank, Calif.
November 2: D23 Day at The Walt Disney Studios and Archives, Burbank, Calif.
November 16: From the Vaults—20,000 Leagues Under the Sea, Burbank, Calif.
D23: The Official Disney Fan Club celebrates the remarkable past, present, and future of Disney, taking its name from 1923, the year Walt Disney founded his world-famous company. D23 unlocks the magic of Disney with a host of exclusive benefits, including a quarterly publication, Disney twenty-three; a rich website at www.D23.com; a weekly email newsletter; an array of discounts and special offers; free gifts throughout the year; as well as exclusive events created especially for its members. Gold-level D23 memberships are $74.99, and Silver-level memberships—which provide all benefits with the exception of a Disney twenty-threesubscription—are just $34.99 a year. All discounts and special promotions are available to both Gold- and Silver-level D23 Members. A membership to D23 makes the perfect holiday gift. Disney fans can join the world’s only Official Disney Fan Club by visitingwww.D23.com, or at select shops at the Disneyland® Resort, the Walt Disney World® Resort and www.DisneyStore.com/D23. To keep up with all the latest D23 news and events, follow “DisneyD23” on Twitter, YouTube, and Facebook.